RMIT University researchers warn that International aid agencies have failed to learn the lessons of the devastating 2004 Asian tsunami. International aid agencies will continue to waste aid money and make avoidable mistakes in new disaster situations because of the failure to learn the lessons of the devastating 2004 tsunami, RMIT University researchers have warned. Dr Martin Mulligan and Dr Yaso Nadarajah, from RMIT’s Globalism Research Centre, have produced a study on what it takes to rebuild viable communities in the wake of a major natural disaster, as part of a series of post-tsunami reports for the Australian Government Overseas Aid Agency, AusAID. Dr Mulligan says the research mapped social recovery from the tsunami across a wide spectrum of local communities in southern and eastern Sri Lanka and Chennai, India. He says while the research found many examples of effective action, where international aid organisations formed strong partnerships with community-based organisations to ensure that aid was properly targeted they also found a lot of post-tsunami aid money was wasted by aid agencies acting in haste and in competition with each other. He says the relief and rehabilitation effort after the 2004 tsunami remains the biggest global response to a natural disaster in human history, yet little has been done to capture and share what the affected communities learnt from the recovery effort. Dr Mulligan says government and non-government aid agencies around the world must absorb the lessons from this disaster or they will continue to repeat the same mistakes and waste a significant amount of global aid money. The research found that outside experts who run relief operations may lack the knowledge that is required to be fair and impartial in responding to requests for aid. As well it says that over 500 aid agencies participated in the relief and recovery operations in Sri Lanka alone and many of these had no prior experience in long-term social recovery after a large-scale disaster. It found that inappropriate delivery of aid in many local communities in Sri Lanka inadvertently opened up old divisions and wounds. The study found that more care and attention should have been devoted to the construction of temporary housing shelters because some of these housed families for up to four years after the disaster. A much more deliberative approach then needs to be taken to the physical and social planning of new housing settlements for those displaced by the disaster because the report says many mistakes were made by rushing this process in Sri Lanka and the negative long-term consequences for people and communities have been quite severe. Dr Mulligan says local NGOs and community-based organisations can have an important role to play in overcoming, rather than exacerbating, social divisions but a key lesson is that decisions made in the short-term – including the assessment of needs and relocation planning – can have major consequences for the rebuilding of coherent and resilient local communities in the long-term. 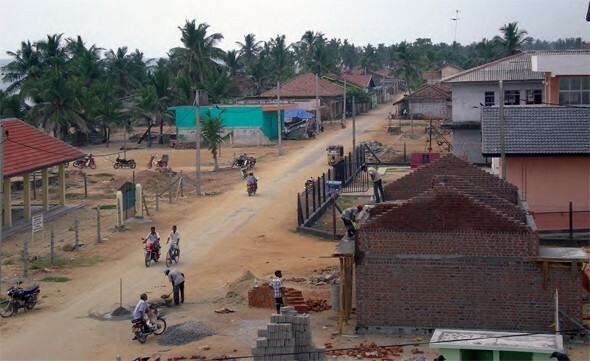 The Rebuilding Community in the Wake of the 2004 Tsunami report was the basis for the recently released Hambantota Communique, the first major statement by tsunami survivors and community groups that aimed to capture the key recovery lessons learned from the disaster.